I think my 10th grade world cultures teacher wouldn't be so impressed with me right now. I've know that i'm currently south of the equator which means it's fall here in Lima and that the days are getting shorter each day. However, I thought Boliva was to my north-wrong it's to the south. And to be honest I don't know much about either Paraguay or Uruguay. Apparently the latter is really nice and ranked the 9th nicest and greenest place to live in the world, and first of in the americas. Mmm, I need to pick up some history books this summer. Brazil, well, I know Brazil, I even know the official language is portuages. The rest of the country I just now have under my belt. 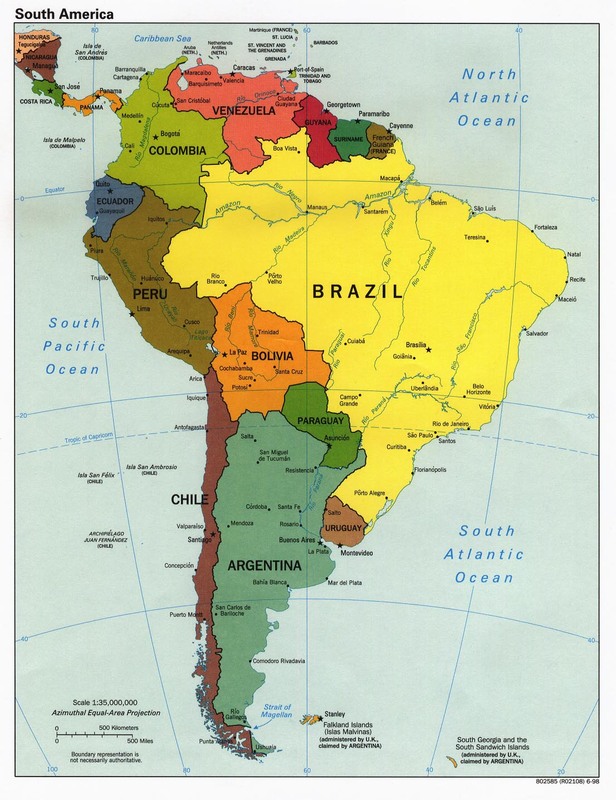 Do you know the layout of South America? How's your geography overall? I am abysmal at geography. When I moved to Birmingham, my first purchase was a GPS (this was pre-iPhone days.) When I first read the title, I thought of the old school "I know my calculus, you plus me equals us...."